December 28, 2018—The opening round of the 2019 Monster Energy AMA Supercross Championship is set for Saturday, January 5, 2019 at Angel Stadium in Anaheim, California. Contesting the premier 450cc class will be the Monster Energy/Yamaha Factory Racing Team run by Yamaha Motor Corporation, U.S.A (YMUS). 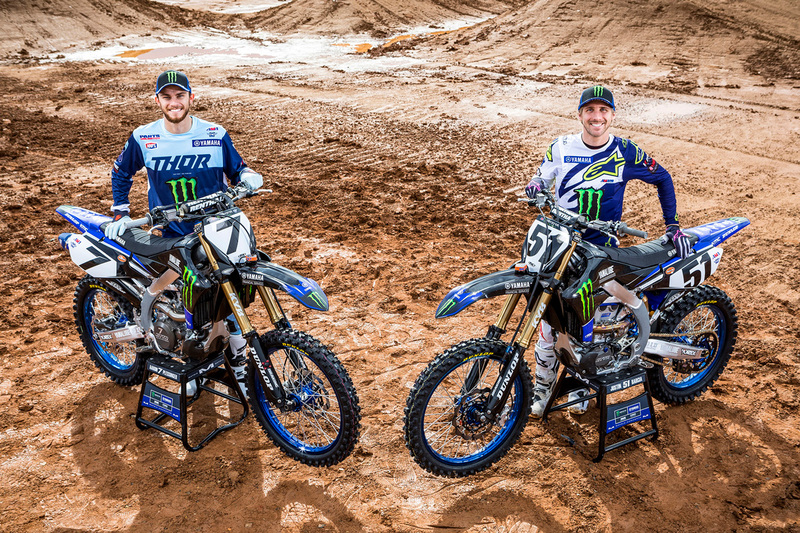 The team’s lineup will feature #51 Justin Barcia and #7 Aaron Plessinger, both riding the 2019 YZ450F. Barcia returned to Yamaha last season, finishing 10th in 450SX and 3rd in 450MX, while Plessinger will be making his debut in the premier class after clinching the 250SX West and 250MX titles last year. Barcia and Plessinger will also battle in the premier class of the AMA Motocross Championship set to begin in May 2019.